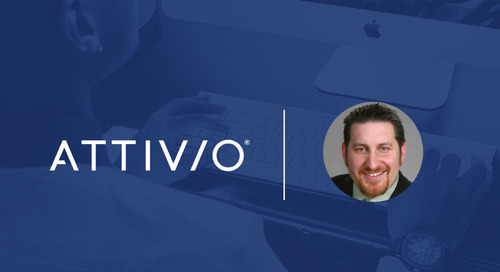 Tyler Lessard is the CMO at Vidyard, the leading video marketing platform that helps businesses turn viewers into customers by leveraging video content across their marketing and sales programs and using video analytics to track the interest and intent of their prospects. 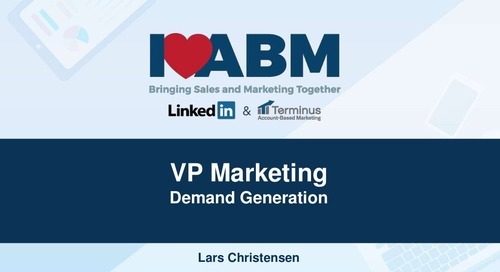 We’re using Terminus as part of an overall ABM strategy in a couple of different ways that I’m really excited about. 1. 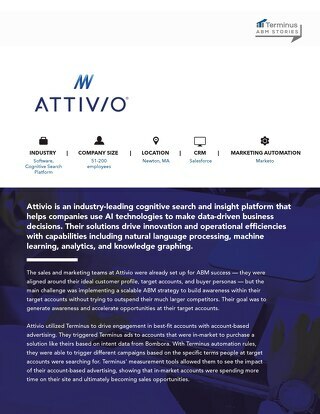 Targeting accounts early in the cycle to build brand awareness, identify propensity to buy and then deliver personalized messaging to individuals in the company. First, we target accounts early in the cycle to build brand awareness which helps our sales team as they introduce themselves to the client. As part of that process, we’re able to identify companies with the greatest purchase intent. Then we’re able to target the right audience with brand awareness messaging online and give the sales team the ability to deliver messages targeted to specific individuals in that company based on how they are responding to ads and other pieces of content. It’s been a very powerful tool for our sales team to be able to get engaged within an account and to get their attention, which is one of the hardest things to do today. 2. Attracting accounts around specific themes or topics that we’re doing throughout the year. For example, we ran a competitive campaign where we targeted ads at customers of competitive products. The ability to hit both known and unknown people at those companies with our brand provided air cover to our sales team as they go to attach themselves to those prospects. 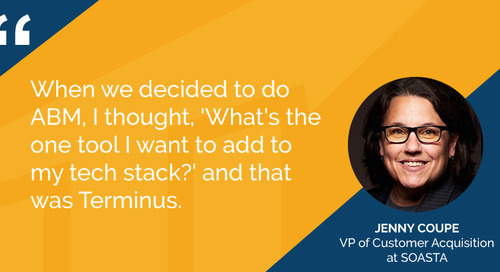 We measure success with Terminus in a number of ways. One is the overall lift in awareness among accounts we’re targeting with our display ads and other tactics. We look at the engagement in the campaigns such as click through rates in ads themselves but also the broader awareness and engagement that we see in our content by those accounts being targeted by the Terminus campaigns. Ultimately we look at the opportunities that are being generated. As a good marketing team, we’re driven by pipeline and by revenue. 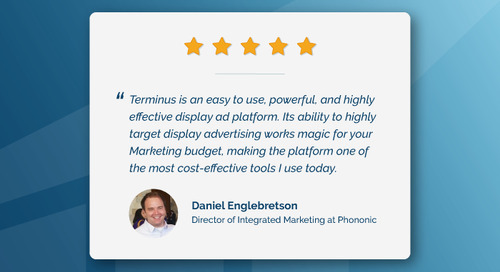 We’ve seen a number of campaigns where we’re generating dozens of new opportunities that are being influenced by the ads being served by Terminus. At the end of the day, we’ve been able to report on the amount of pipeline being generated by these programs, which was north of several millions of dollars on some campaigns, and that’s what’s most important. Can you provide metrics behind some of your account-based marketing campaign strategies? 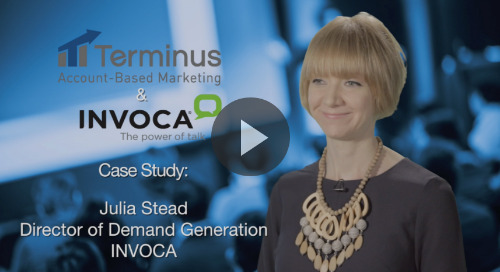 One of the interesting campaigns we run with Terminus is called our “Dead Opps Revival” campaign. We ran a campaign to target previous dead opportunities — individuals at the accounts that we know as well as others that we didn’t know yet — to raise awareness across the base. It was a great example of how we can reengage them back into our brand. Through running a single campaign with Terminus, we were able to revive over 35 different opportunities with those previous dead opps. 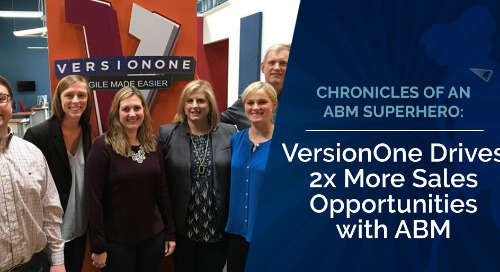 When you can turn a program on and within 30 to 60 days generate dozens of new opportunities worth potentially millions of dollars in the pipeline, that’s how we know it’s working. 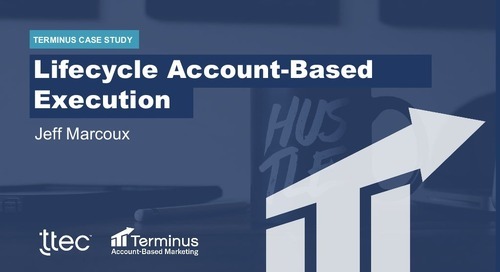 Of all the many things that I like about Terminus, the biggest thing for me is that it seamlessly integrates into the existing technologies we use, making it very efficient for us to run ABM programs at scale in an automated way. The Salesforce integration makes it easy for us to create programs to target individuals at companies based on any of the different parameters of our accounts.  Literally with the flick of a switch we can turn on campaigns to target companies over a certain size, in a certain industry, with a certain opportunity status, or with a certain competitive parameter around it. There are lots of different ways in which we can easily turn on campaigns based on the data we already have about our accounts inside of Salesforce.